She’s a prominent DJ and socialite. 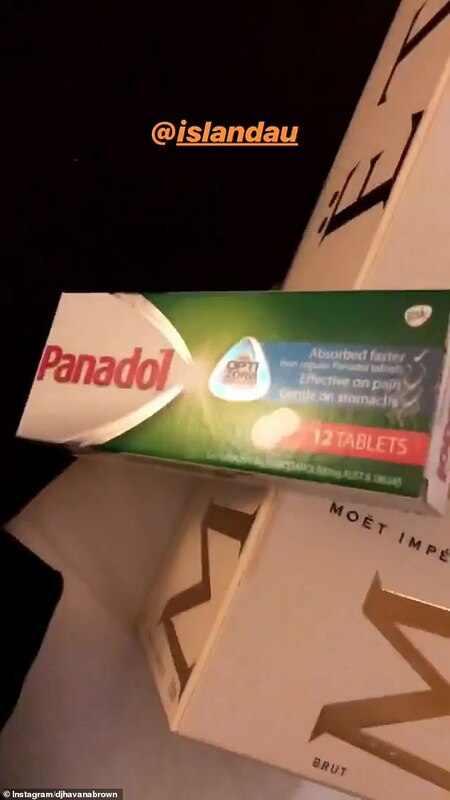 And after attending the ARIA Awards on Wednesday, DJ Havana Brown offered fans a glimpse inside her goodie bag. Taking to her Instagram Stories, the 33-year-old shared a clip of the gifts she received. The stunner then revealed a packet of Panadol tablets, Kettle Sea Salt chips and two bottles of Evian water. ‘I don’t know how they know us so well!’ she said. What’s inside the 2018 ARIA Award goodie bags? Havana also uncovered a block of Lindt Dark Chocolate and a couple of low-carb snacks. 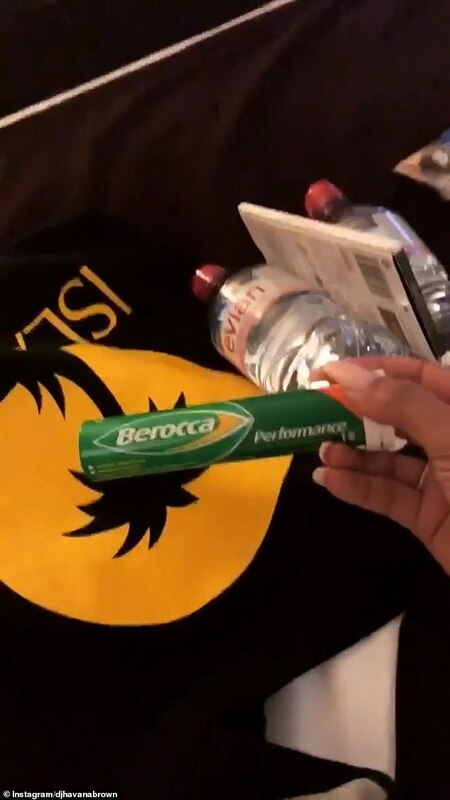 Holding a small packet of Berocca performance tablets, Havana stated: ‘I’m hoping this is gonna save me tomorrow morning cause I have an early flight. ‘Don’t you just love a record label that understands you?’ she added. And it appeared the beauty took some unlikely inspiration from Sharon Stone’s character Catherine Tramell in 1992 movie Basic Instinct at the ARIA Awards. Dressed in a near identical white satin dress with matching blonde hair at the ceremony on Wednesday, Havana looked like Sharon’s movie doppelganger. Rather than slicking her hair back like virtual villain Catherine, Havana’s luscious wavy blonde locks flowed freely as she posed on the red carpet. With a bold red lip and styled in sparkling diamond jewellery, the beauty looked elegant. ‘I’ve always just wanted to wear skanky outfits all of the time. That’s what I love to wear [laughs],’ she said of her ARIAs look. Her comments came while discussing if she has ever felt pressured to look or dress a certain way as a prominent female in the music industry. Despite being one of the first to arrive at the star-studded ceremony, Havana’s preparation was thrown in the chaos just hours before. 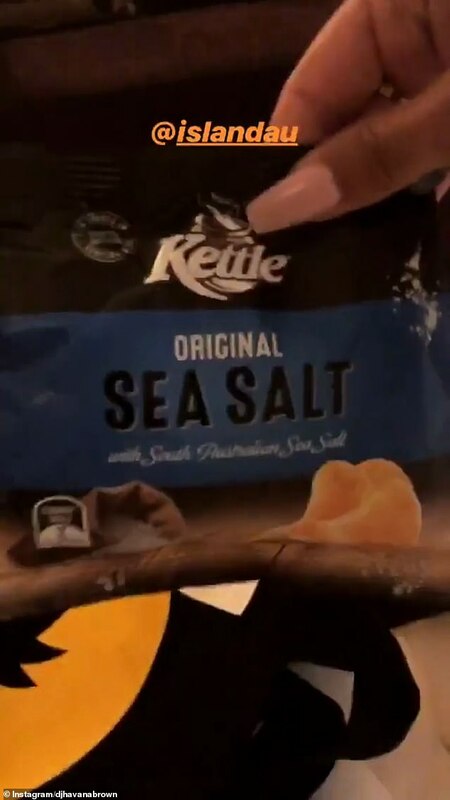 As storms battered Sydney from the early hours, the star took to Instagram to reveal her beauty squad were stranded and unable to make it to the NSW capital. ‘Ahh my hair and makeup [artists] flights have been cancelled. So I currently have no glam team for the ARIAs,’ she wrote online next to several crying emojis. Thankfully there was no sign of those emoji tears as she stepped on to the carpet and stunned among the stars, despite the slow start.